Towards the end of the 1950s, a strange four-engined aircraft landed at the Aeropuerto Internacional de Asunción. It was a North American bomber from the Second World War, still wearing the serial and colors of the U.S. Navy. 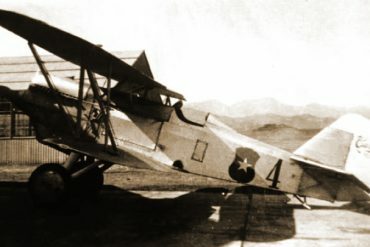 This airplane was purchased by a Paraguayan private company named Alas Guaraníes S.A., with the purpose of carrying freight to several South American cities. 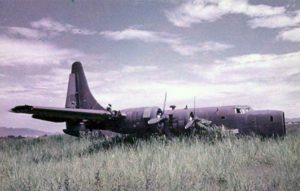 The four-engined aircraft was a Consolidated PB4Y-2 “Privateer”, and it was officially registered in Paraguay during October 1959, and was assigned the civilian registration “ZP-CAD.” It wore a dark blue paint scheme and still retained American military markings on the fuselage and wings, and the BuNo 66277. This particular bomber had been built in 1945, near the end of the war. Its first destination was to the Aeronaval Station San Diego, California; it was flown for about 900 hours between 1945 and 1947. It was then transferred to the Aeronaval Station in Corpus Christi, Texas where it accumulated 1763 flying hours. From 1947 to 1953 it served in the bases of Hutchinson, Corpus Christi and San Diego, accumulating 3, 372 flying hours before it was deactivated and stored in Litchfield Park, Arizona on 19 September 1953. 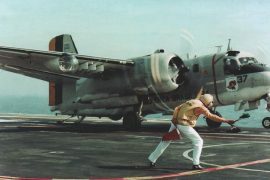 This Privateer was withdrawn from the U.S. Navy inventory on 19 September 1955 and sold to private individuals, from whom the Paraguayan company Alas Guaraníes S.A. purchased it in 1959. Curiously, this aircraft despite having had it’s weaponry removed, still kept the machine gun turrets as well as the large bomb compartment, which was modified to be used for transporting cargo. 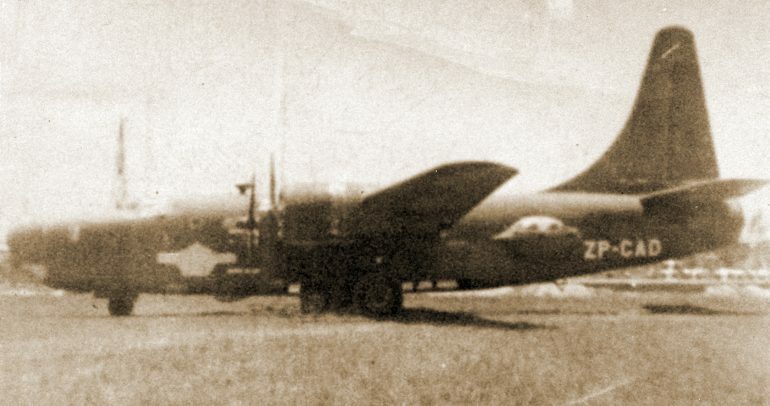 Not much is known about the commercial operations of this particular bomber in Paraguay; only that it undertook cargo flights to Argentina, Uruguay and Brazil for a short period of time, just about four months, since on 26 January 1960, while it was parked at the apron of the Aeropuerto Internacional Galeão in Rio de Janeiro, a wing from a Cruzeiro do Sul’s Fairchild C-82 that was taxiing nearby, collided with the Privateer and caused damages that made it impossible for the airplane to fly again. It seems that the company did not have the financial resources to have it repaired, and opted to abandon it at Galeão. With the passing of time, ZP-CAD was slowly cannibalized and lastly broken up, thus disappearing forever this historical example. There are no records regarding Alas Guaraníes ever operating any other type of aircraft, so we believe that after the mishap the company disappeared. Childerico Motta (Technical Director) with 1000 shares. Fausto Alfredo Norfini with 833 shares. Nelson Gómes Leite (Managing Director) with 834 shares. Abner Coelho de Freitas with 833 shares. José Paulo Muniz da Silva with 500 shares. Kurt Vollmer with 500 shares. Mario Kretzman with 500 shares. 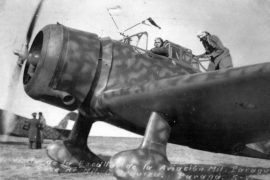 Childerico Motta was an airline pilot, trained as a Sergeant-aviator at the Escuela de Aviacion Militar. 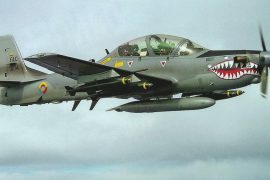 He had his career at first with Panair do Brasil and later, with Aerovías Brasil. On 13 March 1959, ASAS requested authorization to import three PB4Y-2s from the United States. Attached to the request was a proposal from the Ferris Buarque Corp. dated 26 December 1958 in which they offered four PB4Y-2s with near 1,300 flight hours each, at a unit price of $10,000 dollars. 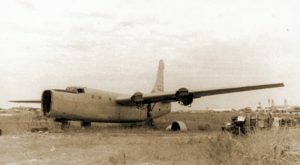 These aircraft were on the possession of Mark Aero Supply Inc., who had acquired them on 1 August 19958, from the North Island Aeronaval Station. The aircraft were part of a lot of 51 Privateers that had been sold for just $2,880 dollars each. For some unknown reason, the importation of the aircraft was not authorized, but on 29 April 1959, the company Svacina Comércio, Industria e Representações Ltda., under the control of Otakar Svacina, requested the provisional registration and authorization for the ferry of the first of three Privateers, BuNo. 59813. On the Importation license from the Ministry of the Treasury figured as the seller the company Mark Aero Supply Inc. and the price was $10,000 Dollars. The Brazilian registration reserved for this aircraft was “PT-BEC“, and on 29 April 1959, the ferry flight was authorized. There are documentary references that this Privateer received the American registration N3322G. The airplane arrived to the Aeropuerto Galeão in Rio de Janeiro on 8 August 1959 piloted by Childerico Motta, and was sold to ASAS on 29 March 1960; this company requested two days later it’s registration to the Registro Aeronáutico Brasileño (RAB). Due to an unknown reason, the registration was not confirmed and was finally cancelled on 16 July 1963. On 26 May 1959, Svacina obtained the registration “PT-BEG” and also the authorization for the ferry of the second Privateer, BuNo 60001. On 11 June 1964, authorization was issued for its flight to São José Dos Campos and the aircraft was issued from the Autoridad Aeronáutica Brasileña (CTA) airworthiness certificate number CHM 6406-03. Between 20 June and 15 October 1964, the airplane flew in the area of Belém, in the Northern Region; it was inspected in that city on 4 August, showing 2,378:11 flying hours. In December 1964, this Privateer was judicially seized until 24 June 1968. It was seized again on 24 April 1969 by Brazilian Justice, following an inspection in São Paulo. The airplane was inspected again on 17 October 1969, this time at Afonsos, Rio de Janeiro and showed 2,468:12 flying hours. Once again, it was judicially seized on 15 July 1970. On 29 January 1976 through a court order, the cannibalized remains of the aircraft were delivered to Lucio Silva and Roberto A. Marques, and the registration PT-BEG was cancelled by the RAB on 23 March 1976. The third Privateer, “PT-BEO“, BuNo 66293 received a provisional registration for the ferry flight, on 25 March 1959, arriving to Galeão on 6 July of the same year, still to be delivered to Svacina. This company sold it to ASAS on 29 March 1960. In a document, the American registration N-3324G appears as belonging to this aircraft. Its transfer to São José Dos Campos was authorized on 2 December 1960, after it had been converted to cargo configuration by the Avitec company in Rio de Janeiro. CTA approved the conversion on 8 February 1961 and the registration was confirmed with the RAB on 24 August 1961. A report issued during November 1965m, stated that PT-BEO had been at Galeão -engineless- for several months. Information obtained in 1959 indicated that Childerico Motta would move the PT-BEC from Miami to Rio de Janeiro between the 27 and 29 of May of that year, and PT-BEG between 13 and 15 of August; the same pilot would likewise ferry ZP-CAD from Port of Spain to Asuncion, between 13 and 14 of December 1959, where he would undertake several flights in the region, between the 15 and 18 of that month and then would fly to Rio de Janeiro on the 20. The authors wish to thank Capt. Carlos Dufriche for the valuable information and photos he provided for this article.